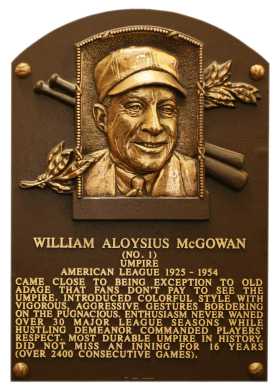 Bill McGowan earned his "No. 1" nickname in the AL because of his renown for accuracy. 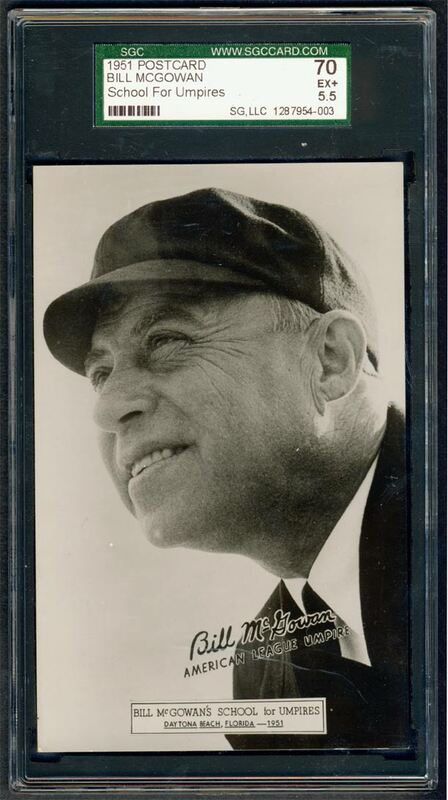 Chosen to work in eight World Series games, he also worked four All-Star games, including the first in 1933. Comments: In December, 2004 I purchased a raw Perez-Steele postcard of the HOF umpire. It was later submitted to PSA and received a MINT rating. In July, 2009 I found an item contemporary to his career, a 1949 postcard advertising the McGowan Umpire School in Florida. It was the perfect portrait - had never seen it before. The seller and I met up at The National and negotiated a price. 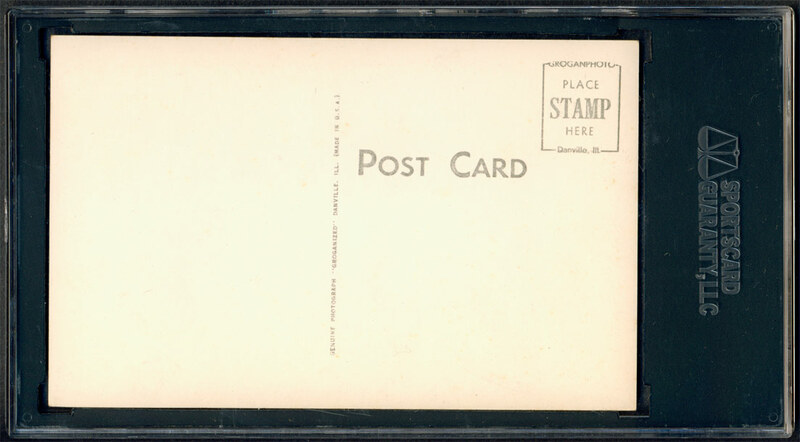 The postcard was later submitted to SGC and received a PR rating due to several surface issues. In July, 2011 a raw copy of the postcard surfaced on eBay but this one was dated 1951. It was the same photograph. I snagged it with a snipe ½ of the price I paid for the 1949 copy. And, the card was much nicer! SGC ended up giving this postcard an EX+ 70 rating. I didn't care much about the date and kept the nicer 1951 copy; selling the 1949 postcard to the same person who originally sold me the postcard.